Books printed in Japanese Zen monasteries during the medieval period are known as Gozan-ban or Five Mountains editions. Originally, Gozan-ban were printed for the self-education of Gozan monks who were expected to imitate the latest Chinese scholarship and act out another culture in Japan. At this time, in the 13th to 14th centuries, Chinese Zen masters visited Japan very often, while Japanese monks also went back and forth between Hakata of western Japan and Ningpo of southeastern China onboard commercial ships that frequently also carried printed Chinese books. Woodblock printing itself was already well established by the medieval period in Japan. However, Zen monks started to copy the style of Chinese Song-Yuan editions, established during 12th and 13th centuries in southern China, instead of the traditional manuscript style. This is the most important feature of the Gozan-ban, because eventually it played a part in changing the cultural environment of intellectuals. 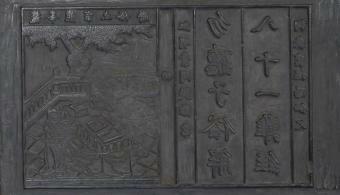 Recently, many Chinese scholars have drawn attention to Gozan-ban which preserve rare or earlier Chinese texts lost in China. This is a very useful approach to the Gozan-ban, of course. Nevertheless, we could also consider their contribution to cultural change in medieval Japan, because they inspired the development of a premodern culture dependent on commercial book printing. The speaker contends that there are two crucial points of transformation in the history of Gozan-ban. One is the participation of immigrant craftsmen in the 14th century. Another is the embrace of practical ends to printing through localization in the 16th century. Eventually, these transformations stimulated the beginning of commercial book printing, which would integrate premodern Japanese culture. Sumiyoshi Tomohiko is Professor at the Shidō Bunko, Keiō University, and Visiting Professor, Center for Japanese Studies, University of California, Berkeley. He has published widely on the history of printing and Chinese scholarship in Japan from the medieval period through the modern era.